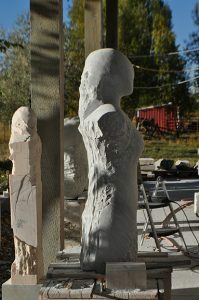 I love fall in Colorado for sculpting marble outside. The weather is warm but not hot and the light is stupendous for carving. The leaves are still on the trees, so I get plenty of shade.